Revolution Chiropractic - Save your body when carrying your baby. Save your body when carrying your baby. 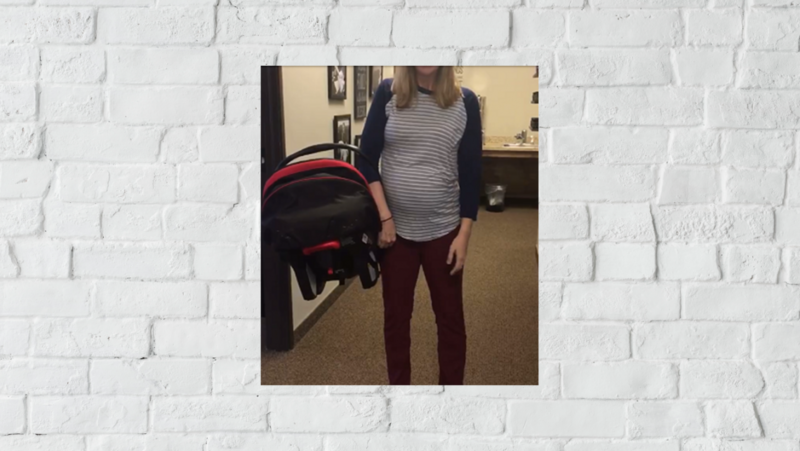 In case you missed it, there was a viral post recently about a new really cool way to carry an infant car seat (I'll put the link below if you'd like to copy and paste to see the video). Typically, moms and dads have grabbed their infant's car seat by that awkward handle and had to lean their body way over to the opposite side to maintain their balance while they carry the thing. As you can imagine, or even know firsthand, this can be very taxing on your body! Many, many times we have had family's come in for their regular chiropractic check with either mom or dad carrying on of those awkward monstrosities on their hip, while leaned way to the side and complaining of their shoulder, neck, and low-back being stiff and achy, and not really knowing why – besides the fact that you have new baby, you're probably not getting enough sleep, and you're carrying an awkward car seat with you everywhere you go in public! Sound familiar? Of course, it does. So, what is the solution? It's simple really - Instead of holding the car seat by the top of the handle, as common-sense dictates, you wind your arm through the front opening on the handle, then down along the side of the seat and twist your arm inward (internally rotate) so that the back of your hand is against your hip and your hand forms a hook grip to hold the seat from the bottom. If you do this and keep your shoulder blade pinned backward and down (think squeeze your shoulder blades together), you have better control over the car seat and you will be able to stand up straight. This will save your shoulder and back from all the stress and strain that carrying the car seat the conventional way does.